Enjoy all the comforts of a Beach Villa with the addition of a private plunge pool on your beachfront deck. 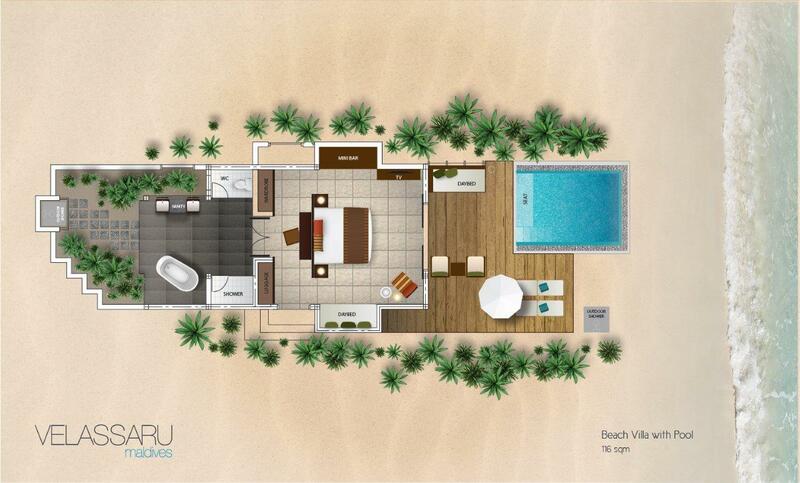 Each of our 16 Beach Villas with Pool offers 116sqm of spacious living. Garden shower, Indoor shower and bathtub.